This week, while international observers speculated about the prospects for a November meeting between Presidents Trump and Xi, American and Chinese defense leaders met to reiterate the need for "durable ties" between the two nations. As per a Chinese request, U.S. Secretary of Defense Jim Mattis met with Chinese Minister of Defense Wei Fenghe on the sidelines of an ASEAN-led forum on Asia-Pacific security; reportedly sharing a "straightforward and candid" discussion about the largest security issues affecting the bilateral relationship, especially the South China Sea. The meeting came less than a month after the Chinese government canceled plans for Secretary Mattis to meet Minister Wei in Beijing in mid-October amid the imposition of sanctions on the Chinese military and the announcement of a U.S. arms sale to Taiwan. The cancellation signaled a downward trend in relations between the two, that was followed by a near collision between Chinese and U.S. naval ships near the Gaven Reef. Secretary Mattis emphasized the continued need for increased high-level communications, saying, "When we have times of differences and irritants, we should seek to deepen our contact, particularly at the high level, strategic level, so that we can talk through differences," according to Newsweek. A member of the American delegation Assistant Secretary of Defense for Asian and Pacific security affairs Randall Schriver also highlighted that Minister Wei maintains a standing invitation to visit the United States, though no plans for a trip have yet been announced. 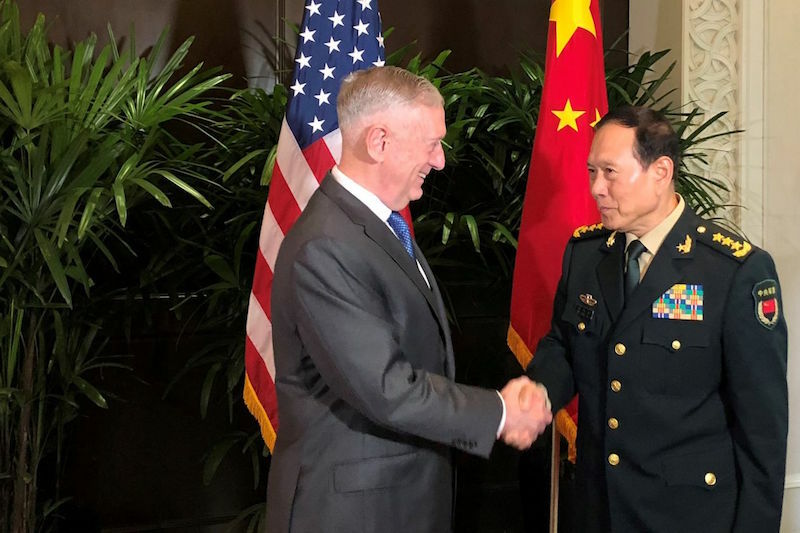 In the past, Chinese officials have stressed the necessity of mutual trust in enhancing the relationship between the two militaries, a sentiment reflected in General Wei's dialogue with the U.S. secretary of defense. This week's conference between Mattis and Wei could serve as a source of optimism for those evaluating the Sino-American relationship. As China-US Focus contributor Richard Weitz noted earlier this month, though the Chinese government has often expressed its disapproval of various American military activities, "More recently, Beijing and Washington have managed to develop a more durable defense dialogue, to their mutual benefit." 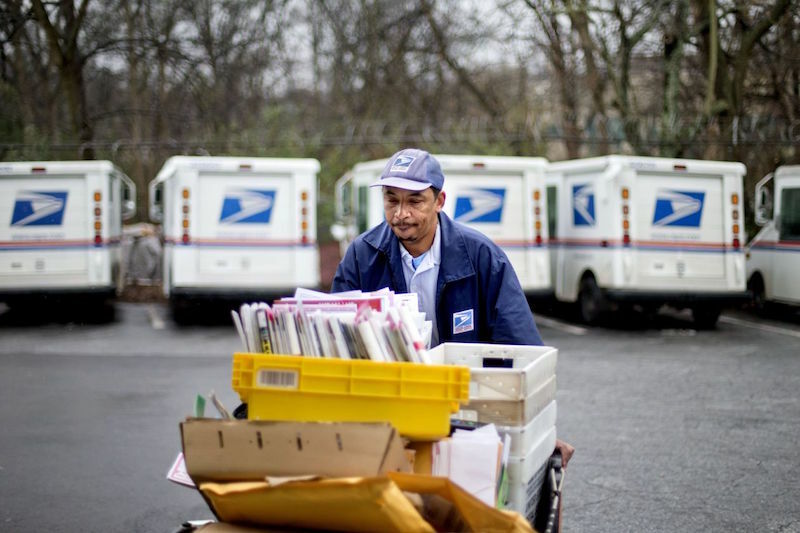 On Wednesday, the Trump administration announced its plans to withdraw from the Universal Postal Union treaty (UPU), delivering a new blow to China in international shipping. First drafted in 1874, this treaty determines the fees that national postal services charge to deliver mail and small packages around the world. The Universal Postal Union has been run by the UN since 1948 and, as of 1969, developing countries (including China) have been assigned lower rates than wealthier nations as part of an effort to foster the development of these countries. However, currently about 60 percent of packages shipped into the United States come from Chinese companies; a result of a 40-70 percent discount on small parcels traveling to the U.S. from China. The Trump administration has argued that because of the decreased rates, the U.S. market has been inundated with cheap e-commerce goods from China at the expense of American competitors. The administration's move to withdraw from the postal treaty is not entirely surprising given President Trump's well-documented aversion to multilateral organizations. The announcement of the withdrawal was welcomed by the U.S. National Association of Manufacturers. The president of the manufacturers association, Jay Timmons, stated that "manufacturers and manufacturing workers in the United States will greatly benefit from a modernized and more fair agreement with China." As Chinese officials have expressed regret regarding the U.S. decision to pull out of the UPU, U.S. counterparts noted they are open to renegotiating the terms of the treaty within the next year, but if no agreement can be reached, the U.S. plans to leave the union entirely. In the event of a complete withdrawal, White House officials have stated that the goal for the U.S. will be to unilaterally declare international postal rates in an effort to close the gap with China. Gary Huang, chairman of the American Chamber of Commerce in Shanghai's supply chain committee, warns that "Chinese sellers on EBay and other platforms may disappear, or at the very least they will not find it so easy to sell to Americans anymore." Consumers should brace themselves for higher prices that reflect higher shipping rates. Multinational technology company Baidu is the first Chinese firm to join a U.S.-led tech consortium on the development of artificial intelligence (AI). The partnership was established in 2016 and is funded by major Silicon Valley companies such as Google, Amazon, Facebook and Microsoft. 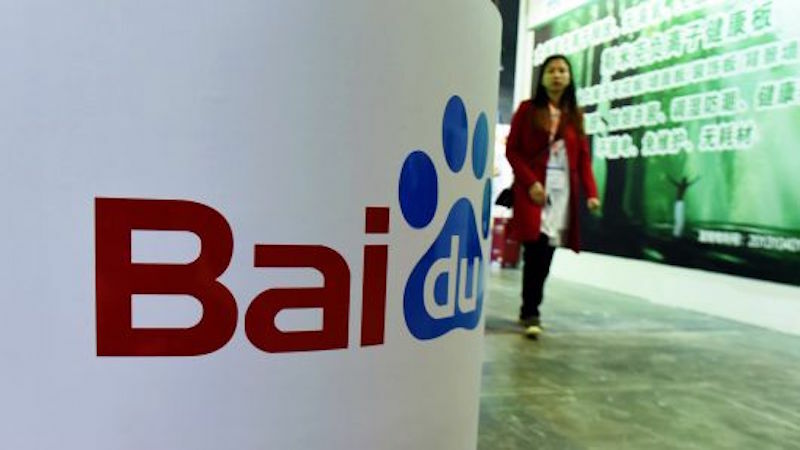 Working to formulate best practices on AI technology, the Partnership on AI (PAI) invited Baidu due to its expansion in the sector; as the company launches initiatives aiming to limit potential negative consequences of the controversial innovation, such as creating hidden errors and institutionalizing bias. AI has become a contentious subject in the tech world: leaders like Elon Musk have argued that AI could pose a threat to the human race. Many people are concerned that people will lose jobs to AI, and criminals will utilize the technology to create chaos by controlling drones or automated weapons. However, these anxieties are not shared by Baidu and its president, Ya-Qin Zhang. "We recognize the importance of joining the global discussion around the future of AI. AI's safety, fairness and transparency should not be an afterthought but rather highly considered at the onset of every project or system we build," he said in a press release on Tuesday. China's desire to be at the center of AI development only reinforces Baidu's presence in PAI. As part of China's Made in China 2025 program, Beijing began pouring money into higher value-added manufacturing sectors to build its domestic AI industry, investments estimated to be worth $150 billion in the coming years. Terah Lyons, PAI's executive director, emphasized the importance of China's involvement in this consortium: "Any conversation about the future of AI that does not involve China is an incomplete conversation." An important first step in building a global partnership, PAI intends to give China more seats at the table. This year's Nobel Peace Prize winners are fighting on behalf of the victims of sexual violence. Recipient Dr. Denis Mukwege is a gynecologist who specializes in the treatment of girls and women impacted by sexual violence in the Democratic Republic of Congo. 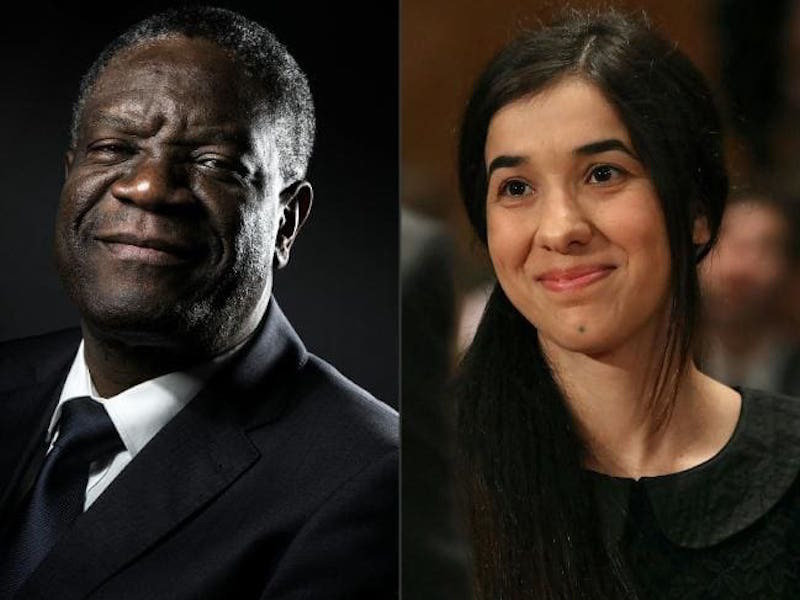 His fellow Laureate Nadia Murad was kidnapped by ISIS and now leads Nadia's Initiative, an organization dedicated to helping women and children victimized by mass atrocities and human trafficking. In this week's episode of 'At Large,' James Chau discusses the work of these recipients, while also diving into the IMF meeting in Bali, the protest against climate change in France and the former U.S. accusations of currency manipulation against China that have now been retracted. Listen to the new episode here.